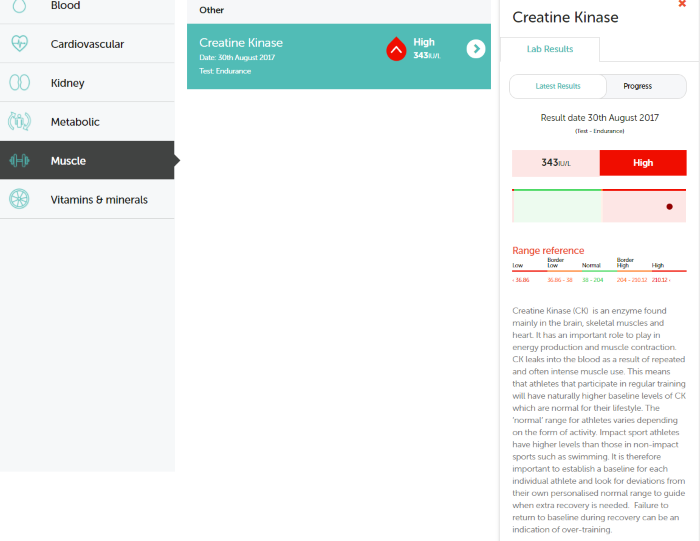 If you want to increase your energy levels, reduce the risk of injury, avoid over-training or just stay healthy then using one of their tests will provide you with all the information you need to achieve your aim. You've put the effort in, trained hard and worked towards your goal but on the big day something didn't go to plan, didn't feel right, what do you do? How do you delve deeper into the reasons why, get under the skin of the machine? The answer may lie with a test you can do simply at home and then get the analysis back to help you understand how your body is working. This is all thanks to Forth Edge. 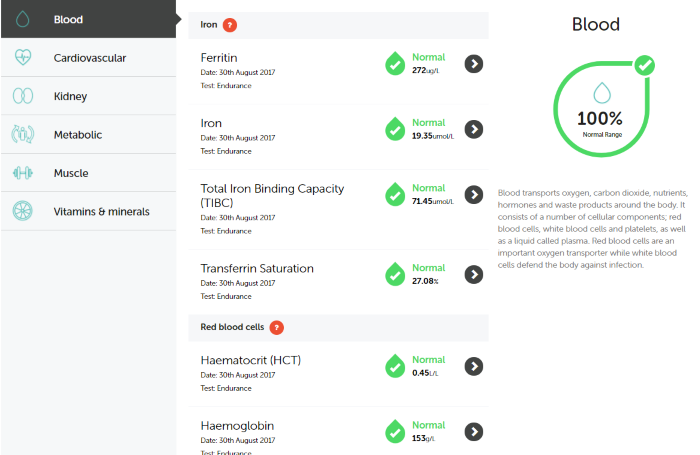 If you want to increase your energy levels, reduce the risk of injury, avoid over-training or just stay healthy then using one of their tests will provide you with all the information you need to achieve your aim. 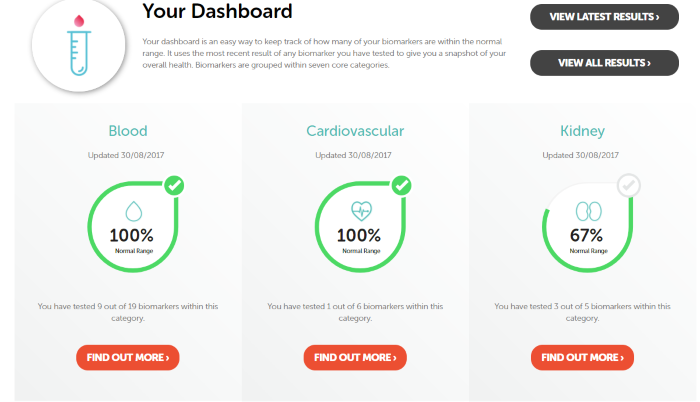 Using Biomarker profiling Forth Edge will provide you with the analysis that will give you insight as to making the right choices to improve your performance. You can do this as a one off or review your markers on a regular basis. The Forth Edge ethos is simple, they have designed a process to you, the rider, the athlete in control. How do they do this? 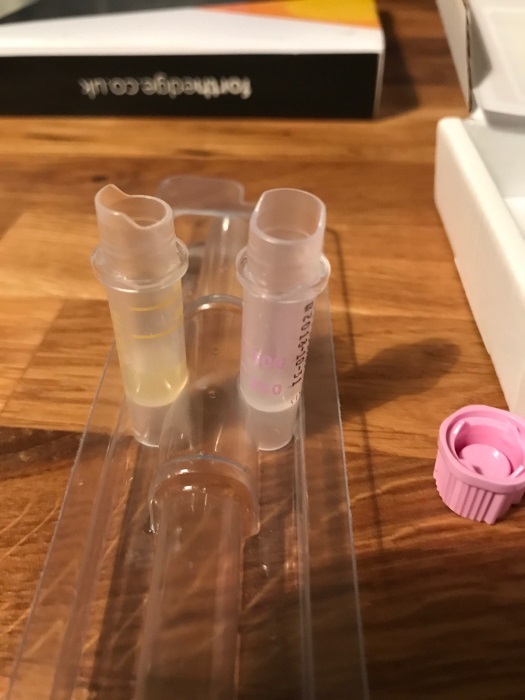 Through a simple test you can do in your own home, the test kit is sent to you, then you take a couple of blood samples, package it up and send it back and within three days you have your answers and insight. Forth Edge have designed their tests to allow different athletes to understand and optimise their performance. There are tests for Endurance athletes, Power specialists or those who target HIT sports. How easy it? To be honest it couldn't be easier, the kit arrived in an intriguing packaged box. It has been designed to fit through your letterbox. A simple message adorns the cover, Test - Track - Optimise. You slide the contents out, what strikes you is how well labelled and packaged everything is. 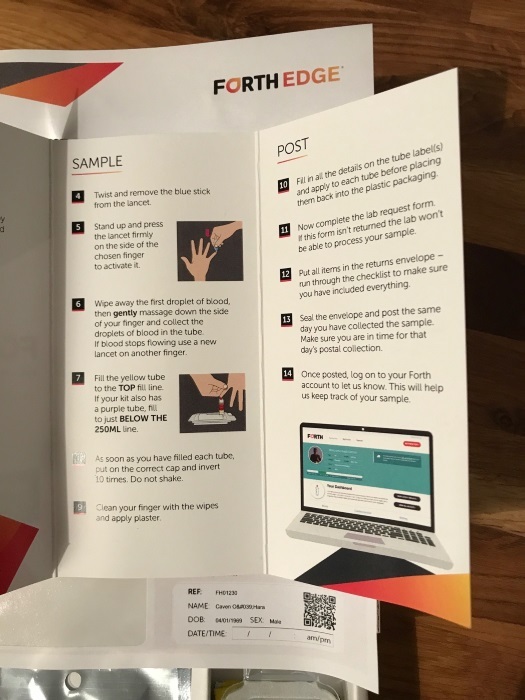 Two vials to collect your blood, a few lancets to prick your finger to draw blood and some products to help clean up your digits after you have. The instructions are very clear and well laid out. There is nothing complicated, Forth Edge have set out the instructions in clear sections that allow you to follow them easily without feeling you don't know the next step. With the instructions laid out the rest of the process was quick and easy. The only slight complication was actually drawing enough blood to fill both vials. I had to enlist the help of my wife to coax the blood out of my finger but this isn't a fault of the test or process. Once I had managed this, the vials are sealed and popped into the packaging provided and popped in the post. Forth Edge advise drawing the blood on the day you intend to post it and not over a weekend where the post could be delayed. 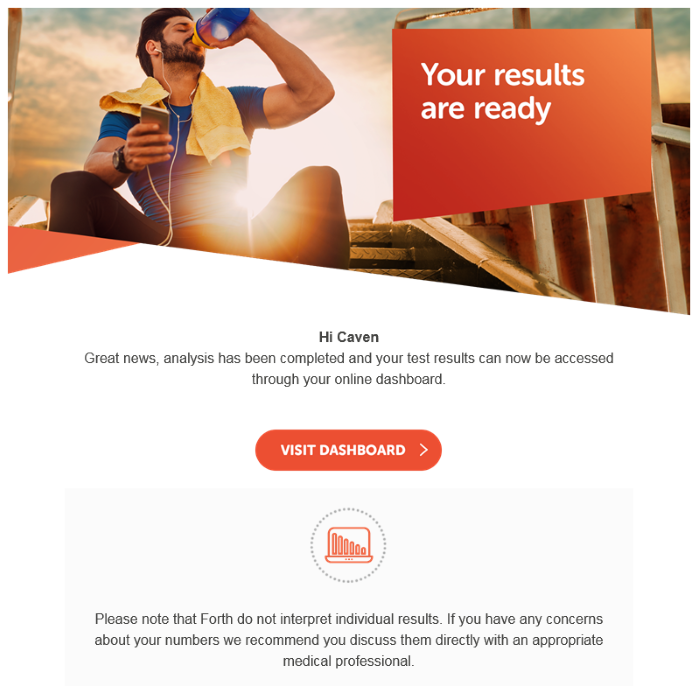 A couple of days later I received an email telling me my results were ready. To access them, you logon to your dashboard via the link in the email. You've already supplied your pertinent details, age, weight, height etc so your BMI is calculated along with blood, cardiovascular, kidney, metabolic, muscle and vitamins and minerals. You get the results for each category and what was tested plus an in-depth analysis of this, what you should expect, possible reasons why the reading perhaps varies from what is considered normal. Also it is worth bearing in mind that the initial test will be setting a baseline. 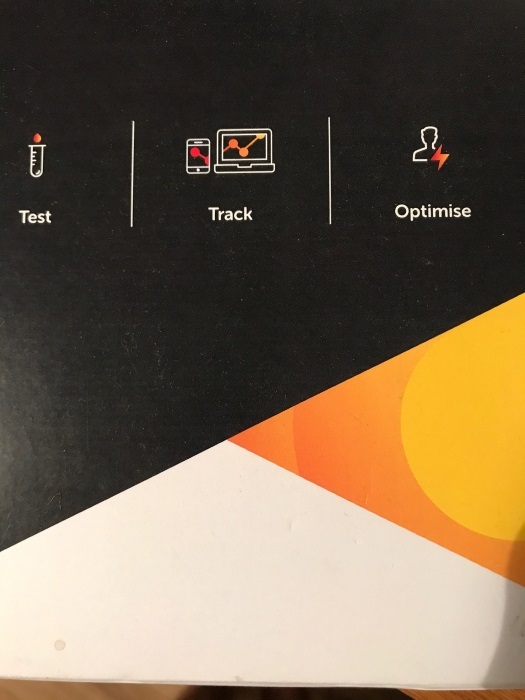 You will need to undertake further tests over time to gain real insight to changes or improvements in these levels but as a marker it gives you an almost overwhelming amount of data and information to feed into your strategy or programme. 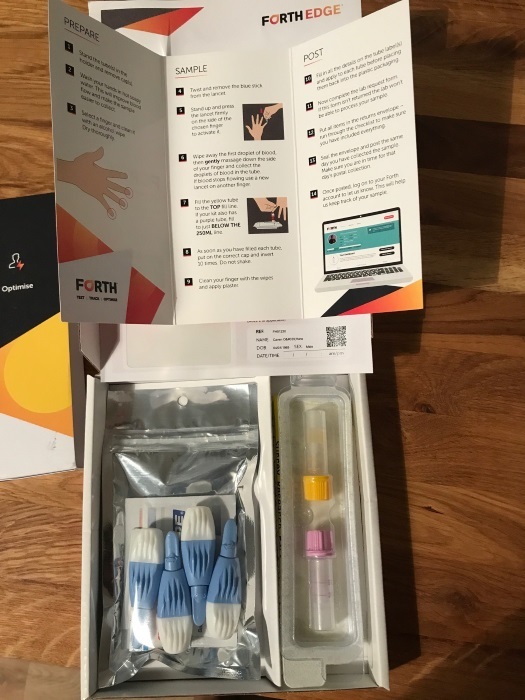 If you want a simple test that can be carried out in the comfort of your own home with minimal fuss but get a terrific insight as to how your body is coping then I suggest you take a close look at Forth Edge. Their approach is about giving you the athlete the information you might not have thought possible to allow you to hit your target. Forth Edge have recently announced that they have teamed up with former Olympian, two-time British Road Race Champion and TV commentator, Brian Smith. Just click here http://xblivecodes.net and get more tips about the resources of xbox live gold. I've been searching for some decent stuff on the subject and haven't had any luck up until this point, You just got a new biggest fan!.. [url=https://vk.com/casinororg]Ð˜Ð³Ñ€Ð°Ñ‚ÑŒ Ð² Ð»ÑƒÑ‡ÑˆÐ¸Ðµ Ð¸Ð½Ñ‚ÐµÑ€Ð½ÐµÑ‚ Ñ�ÐµÑ€Ð²Ð¸Ñ�Ñ‹[/url] Ð²Ñ‹ Ð¼Ð¾Ð¶ÐµÑ‚Ðµ ÐºÐ°Ðº Ð² Ð´ÐµÐ¼Ð¾ Ð²ÐµÑ€Ñ�Ð¸Ð¸, Ñ‚Ð°Ðº Ð¸ Ð½Ð° Ð¶Ð¸Ð²Ñ‹Ðµ Ð´ÐµÐ½ÐµÐ¶Ð½Ñ‹Ðµ Ñ�Ñ€ÐµÐ´Ñ�Ñ‚Ð²Ð°. Ð�Ð°Ð´Ð¾ Ð²Ñ‹Ð´ÐµÐ»Ð¸Ñ‚ÑŒ Ð¸Ð³Ñ€Ñƒ Ð² online ÐºÐ°Ð·Ð¸Ð½Ð¾ Ð½Ð° Ð´ÐµÐ½ÐµÐ¶Ð½Ñ‹Ðµ Ñ�Ñ€ÐµÐ´Ñ�Ñ‚Ð²Ð°, Ð³Ð´Ðµ Ð²Ñ‹ Ð¼Ð¾Ð¶ÐµÑ‚Ðµ Ð¿Ð¾Ð»ÑƒÑ‡Ð°Ñ‚ÑŒ Ð¾Ñ‚Ð»Ð¸Ñ‡Ð½Ñ‹Ðµ Ð±Ð¾Ð½ÑƒÑ�Ñ‹. Ð'Ð¾Ð»ÑŒÑˆÐ¸Ð½Ñ�Ñ‚Ð²Ð¾ Ð²Ð¸Ñ€Ñ‚ÑƒÐ°Ð»ÑŒÐ½Ñ‹Ñ... casino, ÐºÐ¾Ñ‚Ð¾Ñ€Ñ‹Ðµ Ð²ÐµÐ´ÑƒÑ‚ Ñ�ÐµÐ±Ñ� Ñ‡ÐµÑ�Ñ‚Ð½Ñ‹Ð¼ Ð¾Ð±Ñ€Ð°Ð·Ð¾Ð¼, Ð¿Ñ€ÐµÐ´Ð¾Ñ�Ñ‚Ð°Ð²Ð»Ñ�ÑŽÑ‚ Ð±ÐµÐ·Ð´ÐµÐ¿Ð¾Ð·Ð¸Ñ‚Ð½Ñ‹Ðµ Ð±Ð¾Ð½ÑƒÑ�Ñ‹. Ð£ Ñ€Ð°Ð·Ð½Ñ‹Ñ... casino Ñ€ÐµÐ¿ÑƒÑ‚Ð°Ñ†Ð¸Ñ� Ð¾Ñ†ÐµÐ½Ð¸Ð²Ð°ÐµÑ‚Ñ�Ñ� Ð»Ð¸Ñ†Ð°Ð¼Ð¸, ÐºÐ¾Ñ‚Ð¾Ñ€Ñ‹Ðµ Ñ‚Ð°Ð¼ Ð¸Ð³Ñ€Ð°ÑŽÑ‚. Ð*Ñ�Ð»Ð¸ Ð¸Ð³Ñ€Ð¾ÐºÐ¸ Ñ� Ð¸Ð¼ÐµÐ½ÐµÐ¼ Ð¸Ð³Ñ€Ð°ÑŽÑ‚ Ð½Ð° Ð¾Ñ„Ð¸Ð³ÐµÐ½Ð½Ñ‹Ñ... Ñ€ÐµÑ�ÑƒÑ€Ñ�Ð°Ñ..., Ñ‚Ð°ÐºÐ¸Ðµ Ñ�ÐµÑ€Ð²Ð¸Ñ�Ñ‹ Ð¾Ð±Ð»Ð°Ð´Ð°ÑŽÑ‚ Ð»Ð¸Ñ†ÐµÐ½Ð·Ð¸ÐµÐ¹. Ð' Ð¾Ñ�Ð½Ð¾Ð²Ð½Ð¾Ð¼, Ñ‚Ð°Ð¼ Ð¼Ð¾Ð¶Ð½Ð¾ [url=https://www.facebook.com/groups/casinor.net/]Ð¸Ð³Ñ€Ð°Ñ‚ÑŒ Ð² Ð¸Ð³Ñ€Ð¾Ð²Ñ‹Ðµ Ð°Ð¿Ð¿Ð°Ñ€Ð°Ñ‚Ñ‹ Ð½Ð° Ð´ÐµÐ½ÐµÐ¶Ð½Ñ‹Ðµ Ñ�Ñ€ÐµÐ´Ñ�Ñ‚Ð²Ð°[/url]. Ð*Ñ�Ð»Ð¸ Ð²Ñ‹ Ð¶ÐµÐ»Ð°ÐµÑ‚Ðµ Ð½Ð° Ñ€ÐµÐ³ÑƒÐ»Ñ�Ñ€Ð½Ð¾Ð¹ Ð¾Ñ�Ð½Ð¾Ð²Ðµ Ð²Ñ‹Ð¸Ð³Ñ€Ñ‹Ð²Ð°Ñ‚ÑŒ Ð¾Ð³Ñ€Ð¾Ð¼Ð½Ñ‹Ðµ Ð´ÐµÐ½ÑŒÐ³Ð¸, Ð²Ð°Ð¼ Ð¿Ð¾Ñ‚Ñ€ÐµÐ±ÑƒÐµÑ‚Ñ�Ñ� Ð¿Ð¾Ñ�Ñ‚Ð¾Ñ�Ð½Ð½Ñ‹Ð¹ Ð´Ð¾Ñ...Ð¾Ð´. ÐŸÐµÑ€Ð²Ð¾Ðµ Ð²Ñ€ÐµÐ¼Ñ� Ð½Ðµ Ð²Ñ‹Ð¹Ð´ÐµÑ‚ Ð²Ñ‹Ð¸Ð³Ñ€Ñ‹Ð²Ð°Ñ‚ÑŒ Ð¾Ð³Ñ€Ð¾Ð¼Ð½Ñ‹Ðµ Ð´ÐµÐ½ÐµÐ¶Ð½Ñ‹Ðµ Ñ�Ñ€ÐµÐ´Ñ�Ñ‚Ð²Ð°. ÐžÐ´Ð½Ð°ÐºÐ¾, ÐºÐ°Ð¶Ð´Ñ‹Ð¹ Ð¿Ð¾Ñ�ÐµÑ‚Ð¸Ñ‚ÐµÐ»ÑŒ Ð¼Ð¾Ð¼ÐµÐ½Ñ‚Ð°Ð»ÑŒÐ½Ð¾ Ñ€Ð°Ð·Ð±ÐµÑ€ÐµÑ‚Ñ�Ñ� Ñ� ÐºÐ°Ñ‚Ð°Ð»Ð¾Ð³Ð¾Ð¼ Ð¸Ð³Ñ€. Ð¡Ñ€ÐµÐ´Ð¸ Ð¿Ð¾Ð¿ÑƒÐ»Ñ�Ñ€Ð½Ñ‹Ñ... Ð°Ð²Ñ‚Ð¾Ð¼Ð°Ñ‚Ð¾Ð² ÐµÑ�Ñ‚ÑŒ Ñ€Ð°Ð·Ñ€Ð°Ð±Ð¾Ñ‚ÐºÐ¸ Ð¾Ñ‚ Novomatic, IgroSoft, Microgaming Ð¸ Ð´Ñ€ÑƒÐ³Ð¸Ðµ. Ð' 2005 Ð³Ð¾Ð´Ñƒ Ð¾Ñ„Ð¸Ñ†Ð¸Ð°Ð»ÑŒÐ½Ñ‹Ð¹ Ð¾Ð±Ð¾Ñ€Ð¾Ñ‚ Ñ�Ñ‚Ð¾Ð¹ Ñ�Ñ„ÐµÑ€Ñ‹ Ñ�Ð¾Ñ�Ñ‚Ð°Ð²Ð»Ñ�Ð» ÑˆÐµÑ�Ñ‚ÑŒ Ð¼Ð¸Ð»Ð»Ð¸Ð°Ñ€Ð´Ð¾Ð² Ð´Ð¾Ð»Ð»Ð°Ñ€Ð¾Ð².Ð Ð¾Ñ�Ñ�Ð¸ÑŽ Ð¾Ñ...Ð²Ð°Ñ‚Ð¸Ð»Ð° Ð¸Ð³Ñ€Ð¾Ð²Ð°Ñ� Ð»Ð¸Ñ...Ð¾Ñ€Ð°Ð´ÐºÐ°.Ð¢Ð°ÐºÐ¶Ðµ Ð"Ð°Ð½ Ð˜Ñ€Ð°Ð½ÐµÐº Ð¿Ñ€Ð¸Ð´ÐµÑ€Ð¶Ð¸Ð²Ð°ÐµÑ‚Ñ�Ñ� Ð¼Ð½ÐµÐ½Ð¸Ñ�, Ñ‡Ñ‚Ð¾ Ñ‚Ðµ Ð¿Ñ€ÐµÐ´Ð¿Ñ€Ð¸Ð½Ð¸Ð¼Ð°Ñ‚ÐµÐ»Ð¸, ÐºÐ¾Ñ‚Ð¾Ñ€Ñ‹Ñ... Ð»Ð¸ÑˆÐ°Ñ‚ Ð¿Ñ€Ð°Ð²Ð° ÑƒÑ�Ñ‚Ð°Ð½Ð°Ð²Ð»Ð¸Ð²Ð°Ñ‚ÑŒ Ð¸Ð³Ñ€Ð¾Ð²Ñ‹Ðµ Ð°Ð²Ñ‚Ð¾Ð¼Ð°Ñ‚Ñ‹, Ð´Ð¾Ð»Ð¶Ð½Ñ‹ Ð¿Ð¾Ð»ÑƒÑ‡Ð¸Ñ‚ÑŒ ÐºÐ°ÐºÐ¾Ðµ-Ñ‚Ð¾ Ð¿Ð¾Ñ€Ð° Ð´Ð»Ñ� Ñ‚Ð¾Ð³Ð¾, Ð´Ð°Ð±Ñ‹ Ð¿ÐµÑ€ÐµÐ´ÐµÐ»Ð°Ñ‚ÑŒ Ñ�Ð²Ð¾Ð¸ Ð·Ð°Ð²ÐµÐ´ÐµÐ½Ð¸Ñ� Ð² Ñ€ÐµÑ�Ñ‚Ð¾Ñ€Ð°Ð½Ñ‹, Ð±Ð°Ñ€Ñ‹, ÐºÐ»ÑƒÐ±Ñ‹.Ð¡Ð¾Ð·Ð´Ð°Ñ‚ÐµÐ»ÑŒ Ð½Ðµ Ð²Ð¸Ð½Ð¾Ð²Ð°Ñ‚ Ð² Ñ‚Ð¾Ð¼, Ñ‡Ñ‚Ð¾ Ð´ÐµÐ¿ÑƒÑ‚Ð°Ñ‚Ñ‹ Ð¿Ñ€Ð¸Ð½Ñ�Ð»Ð¸ ÐºÐ°ÐºÐ¾Ð¹-Ñ‚Ð¾ Ð·Ð°ÐºÐ¾Ð½, Ð¸ Ñ�Ð¾Ð·Ð´Ð°Ñ‚ÐµÐ»ÑŒ Ð½Ðµ Ð´Ð¾Ð»Ð¶ÐµÐ½ Ð¸Ð·-Ð·Ð° Ñ�Ñ‚Ð¾Ð³Ð¾ Ñ€Ð°Ð·Ð¾Ñ€Ð¸Ñ‚ÑŒÑ�Ñ�.Ð*Ñ�Ð»Ð¸ Ñƒ Ð²Ð°Ñ� Ð¿Ð¾Ð»Ð½Ð¾ Ð´ÐµÐ½ÐµÐ³ Ñ‚Ð¾ÐºÐ¼Ð¾ Ð´Ð»Ñ� Ñ‚Ð¾Ð³Ð¾, Ð² Ð½Ð°Ð´ÐµÐ¶Ð´Ðµ Ñ�Ð¾Ð²ÐµÑ€ÑˆÐ¸Ñ‚ÑŒ 100 Ñ�Ð¿Ð¸Ð½Ð¾Ð², Ð²Ñ‹ Ð½Ðµ Ñ�Ð¼Ð¾Ð¶ÐµÑ‚Ðµ Ð¿Ð¾Ð±ÐµÐ´Ð¸Ñ‚ÑŒ.Ð¢Ð°Ðº ÐºÐ°Ðº Ð»ÑŽÐ±Ð°Ñ� Ñ�Ð»Ð¾Ñ‚-Ñ�Ð±Ñ€ÑƒÑ� Ð¸Ñ�Ð¿Ð¾Ð»ÑŒÐ·ÑƒÐµÑ‚ Ð³ÐµÐ½ÐµÑ€Ð°Ñ‚Ð¾Ñ€ Ñ�Ð»ÑƒÑ‡Ð°Ð¹Ð½Ñ‹Ñ... Ñ‡Ð¸Ñ�ÐµÐ», Ð´Ð°Ð±Ñ‹ Ð¾Ð¿Ñ€ÐµÐ´ÐµÐ»Ð¸Ñ‚ÑŒ, ÐºÐ°ÐºÐ¸Ðµ Ð²Ñ‹Ð¸Ð³Ñ€Ñ‹ÑˆÐ¸ Ð±ÑƒÐ´ÑƒÑ‚ Ð²Ñ‹Ð¿Ð»Ð°Ñ‡Ð¸Ð²Ð°Ñ‚ÑŒÑ�Ñ�, Ð½ÐµÐºÐ¾Ñ‚Ð¾Ñ€Ñ‹Ðµ Ð¸Ð³Ñ€Ð¾ÐºÐ¸ Ð¿Ñ€ÐµÐ´Ð¿Ð¾Ñ‡Ð¸Ñ‚Ð°ÑŽÑ‚ Ð¿ÐµÑ€ÐµÐ·Ð°Ð³Ñ€ÑƒÐ·Ð¸Ñ‚ÑŒ Ð°Ð²Ñ‚Ð¾Ð¼Ð°Ñ‚ - Ð¸ ÐµÑ‰Ðµ Ñ€Ð°Ð· Ð·Ð°Ð±Ð»ÑƒÐ¶Ð´Ð°ÑŽÑ‚Ñ�Ñ�.ÐŸÐ¾ ÑƒÐºÐ°Ð·Ð°Ð½Ð½Ð¾Ð¼Ñƒ Ð°Ð´Ñ€ÐµÑ�Ñƒ Ñ€Ð°Ñ�Ð¿Ð¾Ð»Ð¾Ð¶ÐµÐ½Ð° Ð±ÑƒÐºÐ¼ÐµÐºÐµÑ€Ñ�ÐºÐ°Ñ� ÐºÐ¾Ð½Ñ‚Ð¾Ñ€Ð° Â«Ð¤Ð¾Ð½Ð±ÐµÑ‚.Ð¢ÑƒÑ‚ Ñ†ÐµÐ»Ð¾Ðµ ÑƒÐ²ÐµÐ´Ð¾Ð¼Ð»ÐµÐ½Ð¸Ðµ Ñ�Ð¾ Ñ�Ð»ÐµÐ·Ð°Ð¼Ð¸ Ð¸ Ñ� Ð¼Ð¾Ð»ÑŒÐ±Ð°Ð¼Ð¸Â», -- Ð¾Ñ‚Ð¼ÐµÑ‚Ð¸Ð» Ð´ÐµÐ¿ÑƒÑ‚Ð°Ñ‚.Ð¡ÐµÐ³Ð¾Ð´Ð½Ñ� Ð¿Ñ€Ð°ÐºÑ‚Ð¸Ñ‡ÐµÑ�ÐºÐ¸ Ð²Ñ�Ðµ Ð¸Ð³Ñ€Ð¾Ð²Ñ‹Ðµ Ð°Ð²Ñ‚Ð¾Ð¼Ð°Ñ‚Ñ‹ Ð·Ð°Â Ñ€ÐµÐ´ÐºÐ¸Ð¼ Ð¸Ñ�ÐºÐ»ÑŽÑ‡ÐµÐ½Ð¸ÐµÐ¼ Ð²Ñ€Ð¾Ð´Ðµ Ð°Ñ�Ñ€Ð¾Ñ...Ð¾ÐºÐºÐµÑ� Ð¿Ñ€ÐµÐ´Ð¾Ñ�Ñ‚Ð°Ð²Ð»Ñ�ÑŽÑ‚ Ð¿Ð¾Ð»ÑŒÐ·Ð¾Ð²Ð°Ñ‚ÐµÐ»Ñ�Ð¼ ÐºÐ¾Ð¼Ð¿ÑŒÑŽÑ‚ÐµÑ€Ð½Ñ‹Ðµ Ð²Ð¸Ð´ÐµÐ¾Ð¸Ð³Ñ€Ñ‹ Ñ�Ð¾Â Ñ�Ñ‚Ð¸Ð»Ð¸Ð·Ð¾Ð²Ð°Ð½Ð½Ñ‹Ð¼Ð¸ Ð¿Ð¾Ð´Â Ñ€ÑƒÐ»ÑŒ, ÑˆÑ‚ÑƒÑ€Ð²Ð°Ð» Ð¸Ð»Ð¸ Ð²Ð¸Ð½Ñ‚Ð¾Ð²ÐºÑƒ ÑƒÑ�Ñ‚Ñ€Ð¾Ð¹Ñ�Ñ‚Ð²Ð°Ð¼Ð¸ Ð²Ð²Ð¾Ð´Ð°.Ð�Ð¾Â ÐºÐ¾Ð¼Ð¿ÑŒÑŽÑ‚ÐµÑ€Ð°Ð¼ Ð¿Ñ€ÐµÐ´ÑˆÐµÑ�Ñ‚Ð²Ð¾Ð²Ð°Ð»Ð° Ñ†ÐµÐ»Ð°Ñ� Ñ�Ð¿Ð¾Ñ...Ð° Ð²Â Ð¸Ñ�Ñ‚Ð¾Ñ€Ð¸Ð¸ Ñ€Ð°Ð·Ð²Ð»ÐµÐºÐ°Ñ‚ÐµÐ»ÑŒÐ½Ñ‹Ñ... Ð¼Ð°ÑˆÐ¸Ð½.Ð­Ñ‚Ð¾ Ð·Ð½Ð°Ñ‡Ð¸Ñ‚, Ñ‡Ñ‚Ð¾ Ð¾Ñ‚ Ð¿Ð¾-Ð½Ð°Ñ�Ñ‚Ð¾Ñ�Ñ‰ÐµÐ¼Ñƒ ÐºÑ€ÑƒÐ¿Ð½Ð¾Ð³Ð¾ Ð²Ñ‹Ð¸Ð³Ñ€Ñ‹ÑˆÐ° Ð²Ð°Ñ� Ð¾Ñ‚Ð´ÐµÐ»Ñ�ÐµÑ‚ Ð²Ñ�ÐµÐ³Ð¾ Ð¾Ð´Ð½Ð° Ñ�Ñ‚Ð°Ð²ÐºÐ°.Ð˜ Ñ�Ñ‚Ñƒ Ñ�Ñ‚Ð°Ð²ÐºÑƒ Ð² ÐºÐ°Ð·Ð¸Ð½Ð¾ Ð'ÑƒÐ»ÐºÐ°Ð½ Ð¸Ð³Ñ€Ð¾Ð²Ñ‹Ðµ Ð°Ð²Ñ‚Ð¾Ð¼Ð°Ñ‚Ñ‹ Ð¿Ð¾Ð·Ð²Ð¾Ð»Ñ�ÑŽÑ‚ Ñ�Ð´ÐµÐ»Ð°Ñ‚ÑŒ Ð¿Ð¾Ñ�Ð¿ÐµÑˆÐ½Ð¾ Ð¸ Ð»ÐµÐ³ÐºÐ¾.Â Ð�Ð°Ñ€Ð°Ñ‰ÐµÐ½Ð¸Ðµ Ð²Ð²Ð¾Ð´Ð¸Ñ‚Ñ�Ñ� Ð² Ð½Ð°Ñ�Ñ‚Ñ€Ð¾Ð¹ÐºÐ¸, Ð° Ñ„Ð°ÐºÑ‚Ð¸Ñ‡ÐµÑ�ÐºÐ¾Ðµ Ð´ÐµÐ»Ð¾ Ñ„Ð¸ÐºÑ�Ð¸Ñ€ÑƒÐµÑ‚Ñ�Ñ� Â Ð¿Ð°Ñ€Ð°Ð¼ÐµÑ‚Ñ€Ð¾Ð¼.Ð¢ÐµÐºÑƒÑ‰Ð¸Ð¼ Ñ�Ñ€ÐµÐ´Ð½ÐµÑ�Ñ‚Ð°Ñ‚Ð¸Ñ�Ñ‚Ð¸Ñ‡ÐµÑ�ÐºÐ¸Ð¼ Ð¿Ñ€Ð¾Ñ†ÐµÐ½Ñ‚Ð¾Ð¼ Ð²Ñ‹Ð¿Ð»Ð°Ñ‚ Ð²Ñ‹Ð¸Ð³Ñ€Ñ‹ÑˆÐµÐ¹.ÐšÑ€Ð¾Ð¼Ðµ Ñ�Ñ‚Ð¾Ð³Ð¾, Ñ� Ð¸Ñ�Ð¿Ð¾Ð»ÑŒÐ·ÑƒÑŽ Ð¸ Ð´Ñ€ÑƒÐ³Ð¸Ðµ ÐºÑ€Ð¸Ñ‚ÐµÑ€Ð¸Ð¸.Ð�Ð¾ Ð² ÐºÐ¾Ð½ÐµÑ‡Ð½Ð¾Ð¼ Ð¸Ñ‚Ð¾Ð³Ðµ, ÐµÑ�Ð»Ð¸ Ð²Ñ‹ Ñ...Ð¾Ñ‚Ð¸Ñ‚Ðµ ÐºÐ°Ðº Ð´Ð¾Ð·Ð²Ð¾Ð»Ð¸Ñ‚ÐµÐ»ÑŒÐ½Ð¾ Ð±Ñ‹Ñ�Ñ‚Ñ€ÐµÐµ Ð¾Ð±Ð½Ð°Ñ€ÑƒÐ¶Ð¸Ð²Ð°Ñ‚ÑŒ Ð¿Ð¾Ð´Ñ...Ð¾Ð´Ñ�Ñ‰ÐµÐµ ÐºÐ°Ð·Ð¸Ð½Ð¾, Ñ‚Ð¾ Ð½ÐµÐ¾Ð±Ñ‹ÐºÐ½Ð¾Ð²ÐµÐ½Ð½Ð¾ Ð½ÐµÐ·Ð°Ñ‚ÐµÐ¹Ð»Ð¸Ð²Ñ‹Ð¹ Ð´Ð¾Ñ€Ð¾Ð³Ð° Ñ�Ð´ÐµÐ»Ð°Ñ‚ÑŒ Ñ�Ñ‚Ð¾ -- Ð¸Ð¼ÐµÑ‚ÑŒ Ñ„Ð¸Ð»ÑŒÑ‚Ñ€ Ñ�Ð»ÐµÐ²Ð° Ð¸ Ð²Ñ‹Ñ€Ñ‹Ð²Ð°Ñ‚ÑŒ ÐºÐ°Ð·Ð¸Ð½Ð¾, ÐºÐ¾Ñ‚Ð¾Ñ€Ð¾Ðµ Ð±ÑƒÐ´ÐµÑ‚ Ñ�Ð¾Ð¾Ñ‚Ð²ÐµÑ‚Ñ�Ñ‚Ð²Ð¾Ð²Ð°Ñ‚ÑŒ Ð²Ð°ÑˆÐ¸Ð¼ ÐºÑ€Ð¸Ñ‚ÐµÑ€Ð¸Ñ�Ð¼. 2005 . . XBOX. . .1 , . , - « » . , . , . -. . - ZolotoLoto . . . , . , , , .